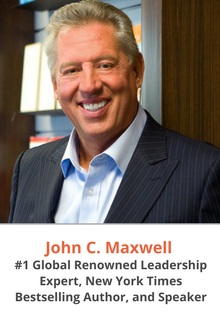 Meet John C. Maxwell in Toronto - BeSocial Event Management Inc.
John C. Maxwell is a number one New York Times bestselling author, coach, and speaker who has sold more than 25 million books in 50 languages. In 2014, he was identified as the #1 leader in business by the American Management Association® and the world’s most influential leadership expert by Business Insider and Inc. magazine. For six years, Maxwell has been voted the top leadership professional on LeadershipGurus.net. Called America’s top leadership authority, Maxwell received the Mother Teresa Prize for Global Peace and Leadership from the Luminary Leadership Network in 2014.